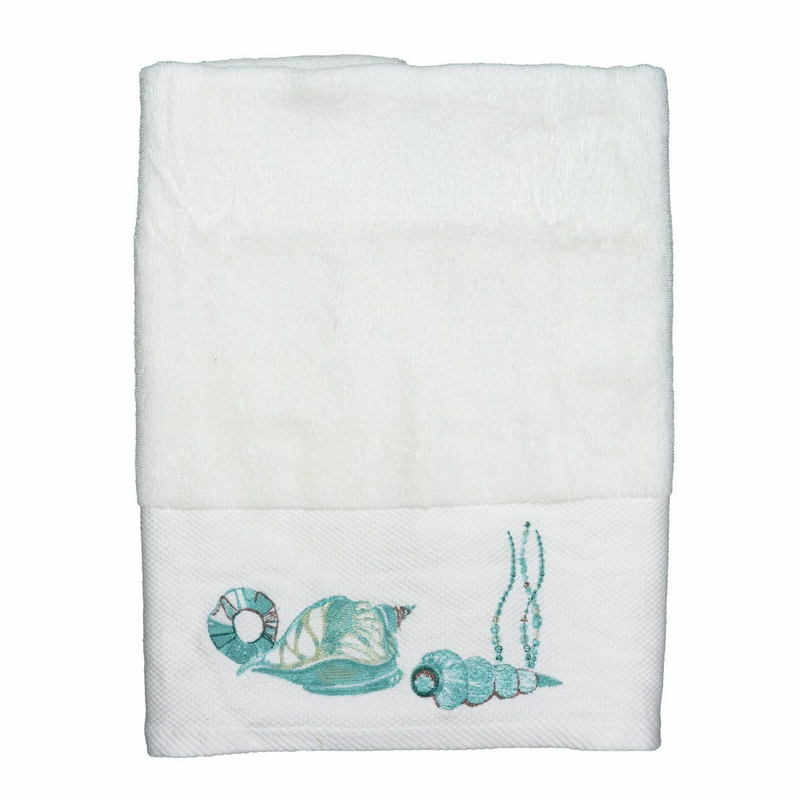 The Aqua Shells & Seagrass Bath Towel brings coastal style to your bathroom with shells, sand dollars and seagrass in cool, relaxing shades of white, sea green and aqua. These beach-themed towels ship from the manufacturer. Allow 1 week. Cannot express ship. For many more options, we invite you to take the time to go through our complete range of beach-themed towels at Bella Coastal Decor today.